NFL analysis is steadily becoming more sophisticated as sports writers and consumers embrace analytics. RotoUnderworld’s data integration tools seamlessly incorporate advanced stats & metrics into all types of digital content from news to articles to player pages to research tools. RotoUnderworld offers fully integrated player cards for publishers with robust in-house player pages. 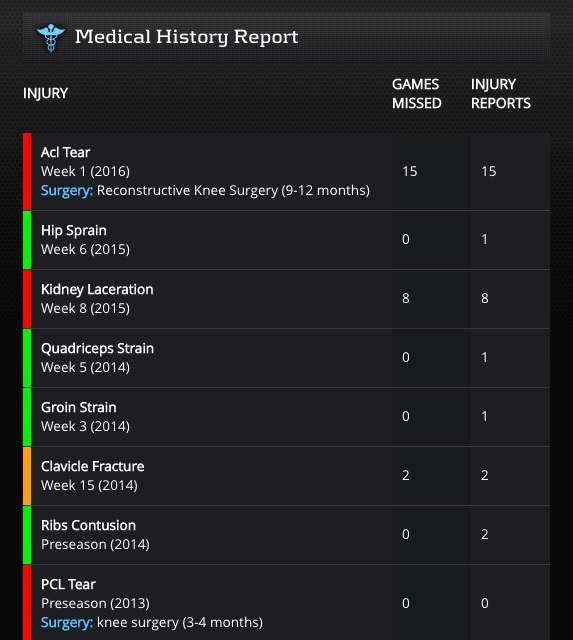 Articles with player cards feature a subtle “advanced info” icon to enhance user engagement, particularly among the sophisticated sports fans and fantasy gamers. 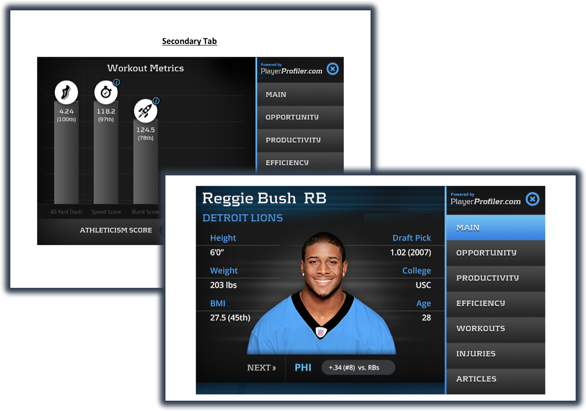 Clicking the icon next to a player’s name activates a mini PlayerProfiler player card featuring one-click access to workouts, efficiency metrics, game log, college stats, and injury history. 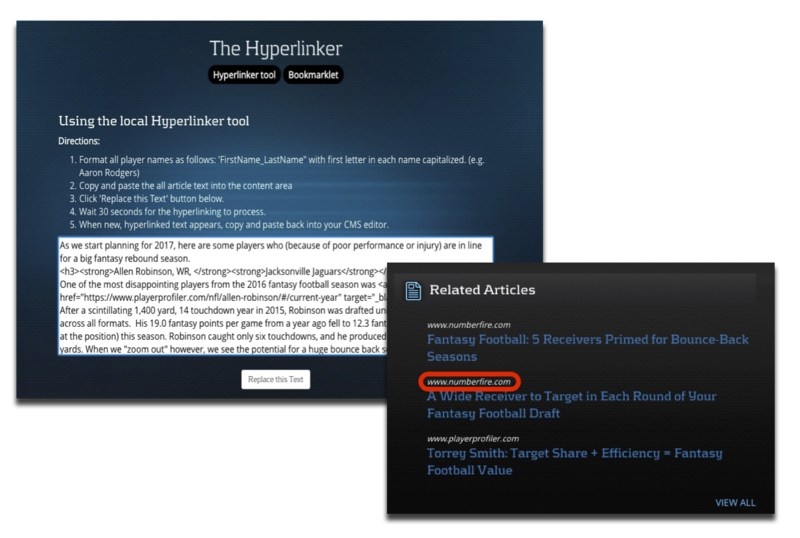 RotoUnderworld offers sports media publishers and bloggers The Hyperlinker allowing writers to create hyperlinks to PlayerProfiler.com player pages for an individual article with a click or by leveraging our automatic processor. Once player names are hyperlinked, PlayerProfiler generates reciprocal links back to native publisher content. The Hyperlinker creates a symbiotic traffic vortex between PlayerProfiler and its publishing partners. RotoUnderworld’s advanced data integration capabilities allows publishers and fantasy gaming platforms to build native player pages, empower writing teams with advanced research tools, enhance existing digital content, and build out sophisticated tools for premium subscribers by leveraging the following services. Email us for enterprise license pricing: rotounderworld@gmail.com. Like baseball (OPS, WAR) and basketball (PER, WS), a mainstream sports media analytics movement in football is imminent. 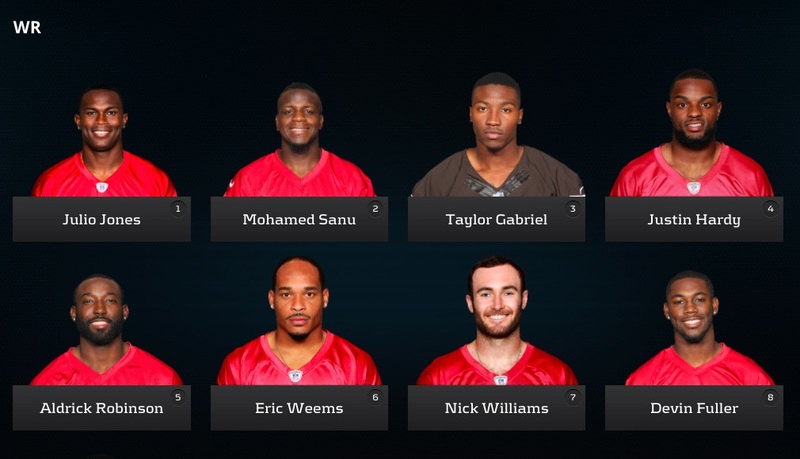 As the football fans and fantasy football enthusiasts become more sophisticated, RotoUnderworld’s fully embedded info panels enhance existing sports media and fantasy football platform player pages. 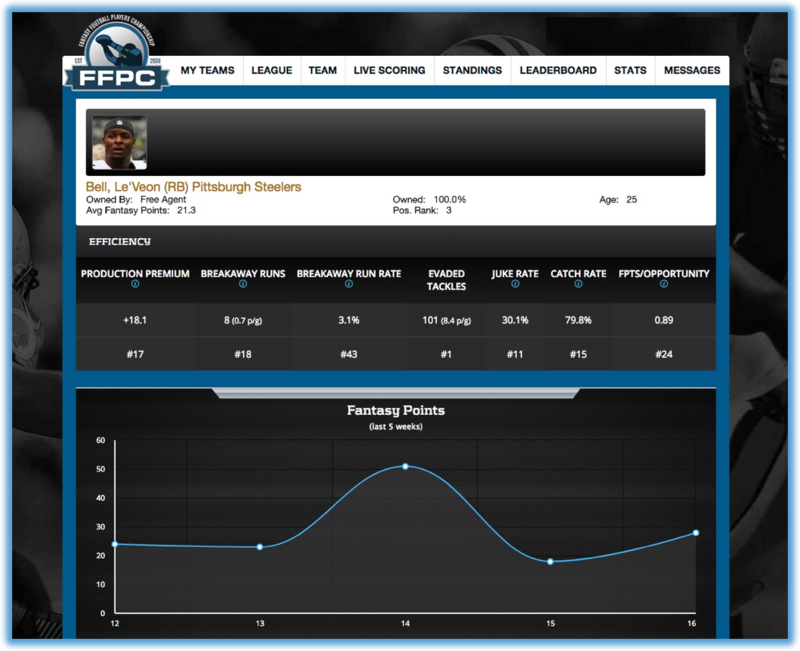 Many sports media and fantasy football platforms offer dedicated player profile pages to their user base. These pages often feature a headshot, core player data (height, weight, college), and full-season statistics, but info gaps may include: athleticism, on-field efficiency, college performance, contract status, and player health. RotoUnderworld’s commercial clients render info panels seamlessly to provides a richer, more engaging user experience. Commercial have ultimate flexibility to choose which info panels to display on an ad hoc basis. Sports media organizations create content consumed by millions of fantasy football enthusiasts who value evidenced-based game flow predictions, player value propositions, and fantasy football advice. In order to generate accurate weekly player projections and write sophisticated, well-reasoned articles, the staff requires performance metrics and advanced stats that go beyond box score and game log data. To meet these requirements, RotoUnderworld’s enterprise content license provides commercial clients with access to PlayerProfiler.com via live look-up player pages and a point-and-click custom data query tool. 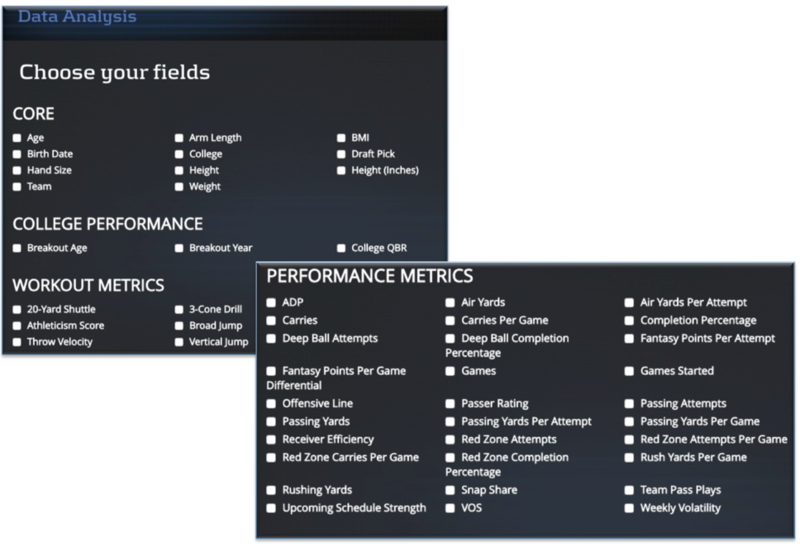 RotoUnderworld delivers a full suite of advanced statistics and metrics from collegiate performance metrics to NFL Scouting Combine measurables to advanced on-field statistics from the 2013-2016 NFL seasons (data sourcing and background information available here: https://www.playerprofiler.com/terms-glossary/).